Nowadays many people want to become welders, but although it may sound like an interesting and exciting career, you may need to go through a strict certification process before you can work on a professional ambient. If you are a natural welder, you could quickly get through it. Before you start the certification process, you need to know all the training requirements and the special equipment you could be working with. Plus, depending on which area you want to work on, you may need extra certifications or experience. If this seems a bit overwhelming, don’t worry since in this article you will learn all of these things about How to Become a Welder and much more! 1 How to Become a Welder? How to Become a Welder? To begin with, you need to know what a welder does specifically. If you ask a welder what he does for a living, he might jokingly say that he bonds two metals together, but in many cases, it depends on the welder if construction is entirely stable or not. Professionally, you could work on two significant industries, these being manufacturing and construction. Both have a great and stable job growth, which means that you could find a prominent position in any of these if you are a good welder. As a welder, you may have many tasks. To begin with, you need to be capable of reading blueprints almost entirely, since a wrong dimension could be a notable difference on a project. Plus, these blueprints will determine which tools you will be using for a specific project. Here comes another important point in becoming a welder; mastering every tool there is. From plasma cutters to special torches, you need to know how to use each one of them and when to use each one of them. This will take some time, but you could get there eventually. You could also be in charge of making sure that other weldings are stable and have no defects. There is a noticeable difference on a good welder and a bad one, but it takes a particular visual sweep to know if the welding will be strong enough to support the weight. In some cases, a complete certification may not be a significant difference since some companies will hire a good welder that has been formed by experience. But having a degree will make a difference when looking for a higher position in any big company. Plus, having a degree may considerably increase your salary, which it always could be great news. A degree will be your proof that you have experience and the knowledge to handle more significant projects. You can begin in high school, taking courses like shop, science, and math. This may give you all the basics that you may find useful when you are looking for a higher-grade degree. Additionally, you could begin getting familiar with all the tools that you could work with. Before looking for a job, you may want to get enough experience on the field before you apply for a job. Mostly because there is a specific knowledge that can only be obtained on the field. You may also want to become a Certified Welder at a certain point. You could get this certificate from many different institutions depending on your country. For example, people living in the US could find this welding certification at the American Welding Society. You will mostly be working on infrastructure projects if you are planning to work on construction. If you are looking for manufacturing, you could find a great position at an assembly line since most of them require a good welder to fix together all the parts. You may find more jobs on the manufacturing side since it is a growing industry that will slowly get unto the assembly line strategy sooner than later. It is calculated that the welding job growth will increase to 4% steadily for the next years, meaning that there are and there will be many positions available. Come to think of it, somewhere, there is a building being built right now, and they require an experienced welder to get the job done. You should try to learn more than only welding, since having different talents may open up new opportunities for you. Maybe you should try a more general area so that you can look for a higher position in a company. This can also help you get a supervisor or manager position. Also, you could eventually become a welding engineer. These engineers are what companies are looking for when they require special wielding like high altitude welding or underwater welding (yeah, this is a thing). As we mentioned earlier, welding is much more than just bonding two pieces of metal together. There are different disciplines in these careers, and if you are aiming to become a professional welder, you may want to master each of these disciplines. This may be the kind of welding you are used to hearing of. As the name states, the torch mixes oxygen and a part of acetylene gas, which becomes a powerful instrument to cut through metal with ease. This is the welding that you may do Sunday evening on your warm and cozy home workshop. It is used with metals that exceed the 4 millimeters in thickness. Because of this, many professionals think that there may be a few uses for this on the real world. Also known as TIG welding, it is the most common welding discipline since it is not only easy to learn, it can be useful in many different scenarios. Although it is easy to learn, it is difficult to master it since it can be used to work on different metals on separate occasions. After all, it all comes down to how high you aim. 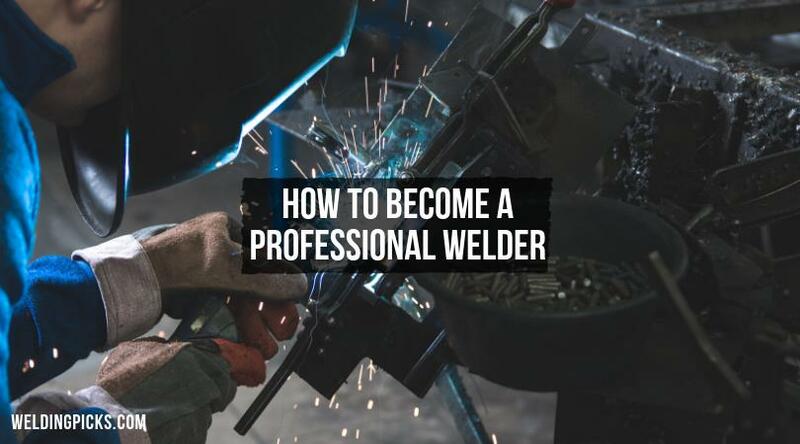 Working as a professional welder can be a great career, so keep learning new disciplines and how to use new tools, and in no time, you could be known worldwide as one of the top welders there can be. Did we miss any detail about the career you would like to know? Let us know in the comments! Why it’s essential for a welder to know how does a plasma cutter work?